The International Medieval Congress (IMC) is the largest medieval studies conference in the world. More than 2,900 medievalists from more than 60 countries participated in the 25th annual International Medieval Congress (IMC) from 2-5 July 2018. 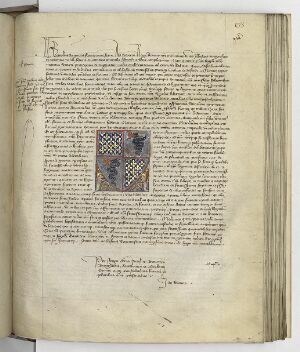 In line with the Special Thematic Strand in 2019 “Materialities” (https://www.leeds.ac.uk/ims/imc/imc2019_call.html) and the recent creation of the strand “Manuscript studies”, we organize sessions on “Text as object in the Middle Ages”. Texts, indeed, are at the same time an idea and a form. The latter is the result of a combination of inherited social uses and specific intentions by the various actors involved in transmitting the text as idea. This process begins with the authors, continues to the craftsmen (parchment and paper makers, copyists and chancery clerks, painters and illuminators, sculptors and weavers, booksellers…) and then on to possessors, readers, archives and libraries. All textual artefacts are concerned: manuscripts, charters, inscriptions, tapestries, seals, coins, etc. Medieval library catalogues started including dictiones probatoriae or secundo folio as identifiers of a given manuscript as object rather than as the bearer of a text; additional information on the physical appearance could also be indicated (size of the script, illumination, …). Cartularies and registers, but also inventories, sometimes include a description of the original charter, be it in a text form, be it as a drawing (“copie figurée”), also for elements which are no validation signs. These are early examples of an awareness of material aspects in textual artefacts. “materiality” as a term is rather new in historiographical research, however there is a complex archaeology of this research concept applied to texts. Starting in the Middle Ages, it became more prominent with the rise of the “auxiliary sciences” such as palaeography and diplomatics in the 17th and 18th century which were very much focused on the material aspects of written objects. By the 19th century it found its way into the bibliographic descriptions, either in a scholarly environment or in auction and sales catalogues as part of a bibliophilic interest. This pre-historical time of “materiality” as a research concept is not well known. We welcome proposals dealing with examples of a “material” approach to manuscripts and documents in medieval and early modern times, and evidencing the consequences of this past material concern on modern scholarship (e.g. identification of well described manuscripts in past collections vs. apparently lost collections). When doing editorial work, scholars may take the materiality of the text into account and either decide to discard their observations or communicate them to the user. From imitative, so-called “diplomatic” editions to very normalizing ones, several models coexist depending on editorial goals, national traditions, text genres, or witness tradition with regard to the nature of the textual work. Discussions of former editions and practices are welcome, as well as proposals discussing the current developments in scholarly editions. This could include reflections on the tensions resulting from tight schedules due to fixed-term contracts and the ideal of exhaustive material description and analysis. The connection between text and object is reflected by specific requirements for the written object in the fields of diplomatics, epigraphy, codicology (layout, material structure), art history (iconography, decoration), and palaeography (script types, abbreviations, script size and degree of formality). Recurrent patterns in book production have already been identified, such as books of hours and prayers for lay people being small in size, illustrated, and written in long lines, or genealogies and universal histories being written in scroll format in order to stress the continuity. There are also illuminators working mainly in the production of one or two literary genres, for whom it is not always possible to ascertained if it is a consequence of being hired by one librarian or if they specialized into specific iconographic types. Illuminated charters as a category may also be connected with specific conditions in their creation. Connexions between script types and text genres also may be a medieval reality uncovered by modern research (Beneventan/Caroline scripts depending on genres) or a historiographical construct (such as the misleading “gothic liturgical script” or Uncial as Christian script). In this regard, cultural divide and contact zones (Beneventan, Wisigothic vs. Caroline; Humanistic vs. Gothic) deserve special attention, as well as a further study of “pragmatic literacy” under the pragmatic aspect of writing. Medieval autographs form a cross-genre domain, in which the intervention of the author may provide modern scholars with additional information. Yet, only a reciprocal analysis of text and handwriting in their context should allow the expertise of autography. Theoretical proposals and case studies demonstrating how material (here mainly palaeographic) and textual inquiries interact are welcome. Papers could focus on new results within these known patterns or new connections between text and materiality. Fragments are a challenging form to study manuscripts both as texts and objects. They pose specific challenges for the identification of the textual contents as well as the objects’ origin and life. Proposals may present innovative tools and projects, as well as scholarly research based on virtual or physical reconstruction of dismembered or fragmentary text objects. The organizers particularly welcome proposals dealing with the fragment as source for the broader historical context (e.g. textual history, reception and cultural transfers). The material analysis is not a new field any more. Imaging techniques available for manuscript research include those based on physicochemical properties (multispectral, X-ray fluorescence, etc.) as well as those that allow a better perception of the object (Reflectance Transformation Imaging, 3D scan). Recent technological advances now allow a better coordination of textual studies,imaging and physicochemical research. Examples include the Archimedes palimpsest, the manuscripts from Mount Sinai or the rolls from Herculanum and Ein Gedi. For this session we expect proposals illustrating how material analyses or imaging techniques can reveal hidden or illegible text layers and therefore have a direct impact on our understanding of the textual content and its history. The deadline for receipt of submissions is 25th September 2018.